For once I actually knew about this food holiday before I opened my google reader this morning! =) I kind of feel like national s’mores day should be at the beginning of summer instead of the end, but no one asked me haha. I mean, when I think of s’mores I think of summer and while I guess it’s technically still summer, school starting back pretty much marks the end of summer in my mind- or at least the end of summer vacation. This was always such a depressing time for me – so what did I do? I pick a career where I go to school forever – figure that one out ;). I don’t have a new s’mores recipe to post today, but I thought I’d just remind you of the yummy s’mores treats already on the blog. This was one of the first recipes that I posted on the blog. I love this recipe and what’s not to love? 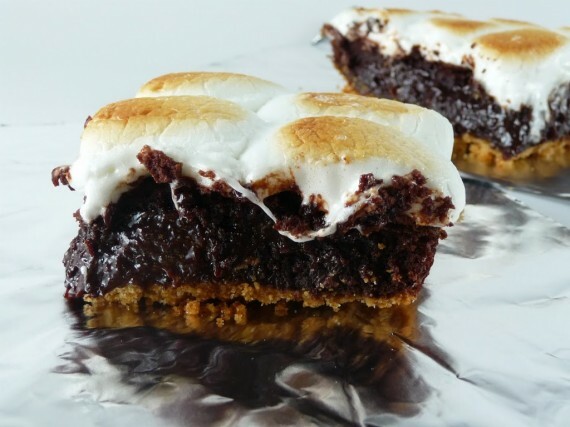 Graham cracker crust + brownie + toasted marshamallows = delicious! These cupcakes are my favorite cupcake on the blog…maybe ;). It would be so hard to pick a favorite though. So it’s really no surprise they are one of the most popular recipes on the blog. 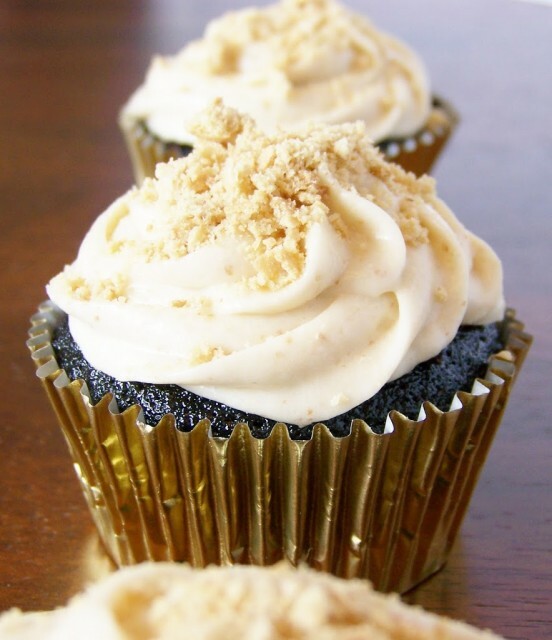 The toasted marshmallow filling really takes these cupcakes to the next level – it’s pretty awesome. If you haven’t already made these cupcakes you definitely should! 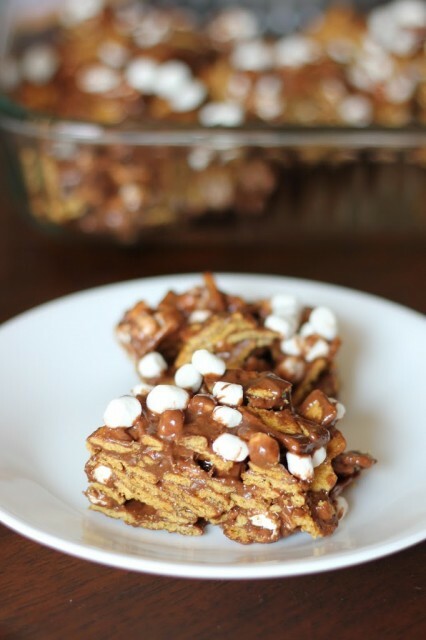 A cousin to rice krispy treats, these bars are so quick and easy. 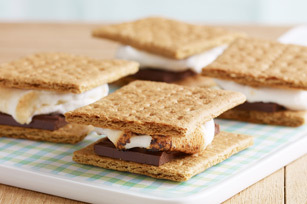 A great way to get your s’mores fix without heating up the kitchen or dirtying up a bunch of dishes.